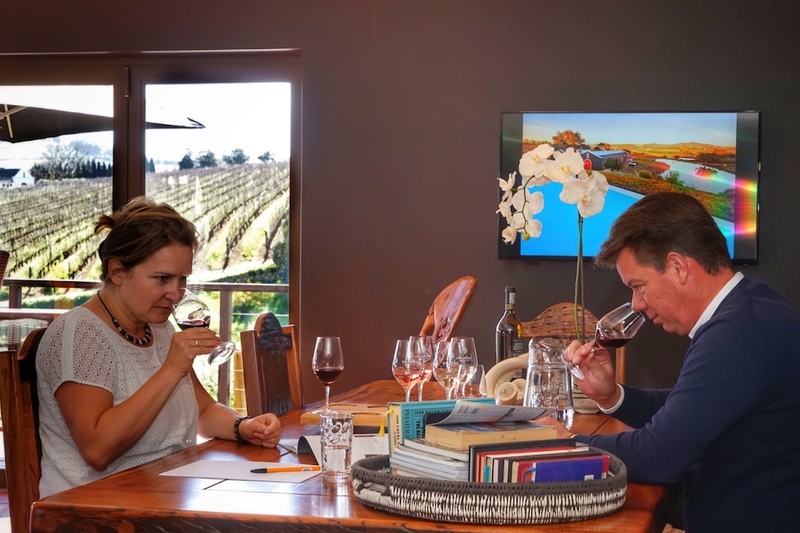 “We have a winery in South Africa.” With these words, a long-cherished dream for the Dutch entrepreneur couple Marianne and Fons Aaldering became a reality. 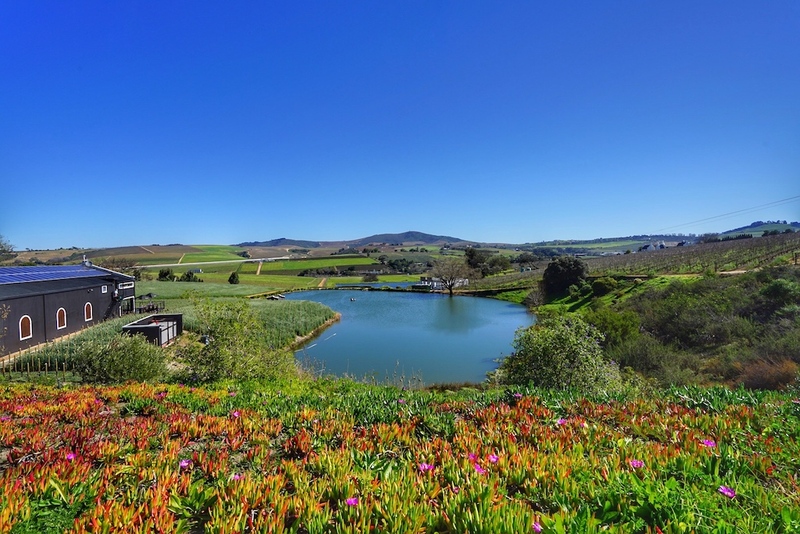 In 2004, the couple acquired 24 hectares of land in one of the best wine-growing regions in the world, Stellenbosch, at the southern end of the African continent. From the beginning, Marianne and Fons Aaldering focused on quality. They wanted to start with superior products and place themselves in South Africa’s top league. 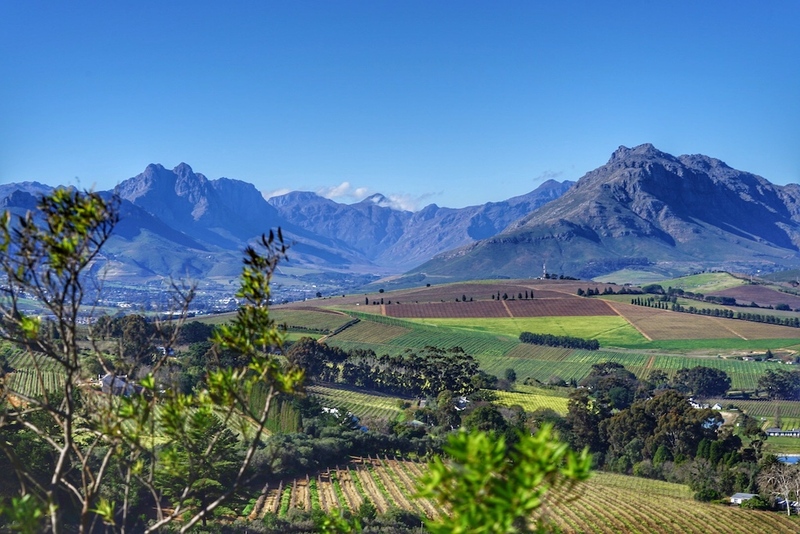 And in the golden triangle of the Winelands between Paarl, Franschhoek and Stellenbosch they found the best conditions for this ambitious project. The soil is loamy, so a good water reservoir to survive dry periods is essential. From the late afternoon, a fresh breeze blows through the leaves of the vines. The cool air of False Bay preserves the fruity character of the grapes. After purchasing the winery, the pair turned their attention to replanting the vineyards, adding French grapes that already had quality in their DNA. Today, Shiraz, Cabernet Sauvignon, Merlot and, of course, Pinotage thrive on their estate in Devon Valley. The white grape varieties comprise of Sauvignon Blanc and Chardonnay. After three years of nurturing the new vineyards, the Aalderings celebrated their first harvest in 2007. From this yield, 45 000 bottles could be filled. In the beginning, only red wines were produced. 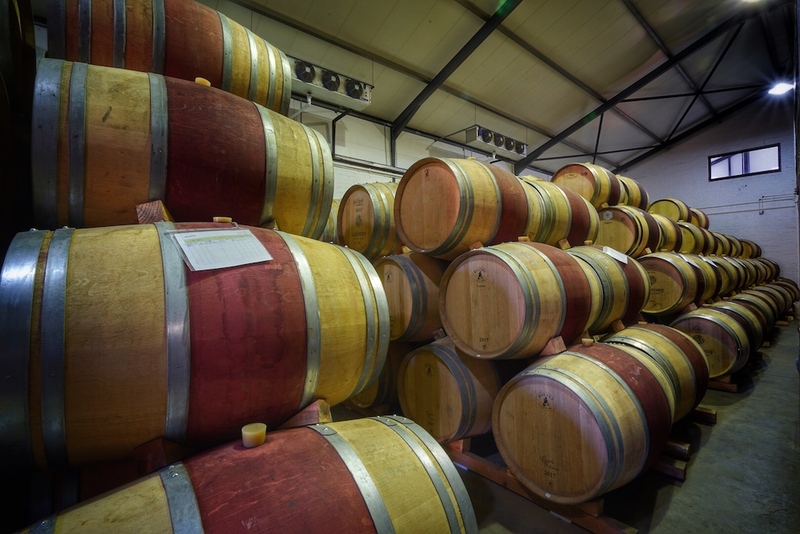 The wines matured in a perfect mix of new and used French oak barrels for about 24 months before bottling. PJ Geyer took up the reigns of cellar master. The passionate winemaker honed his skills in the mecca of viticulture in southern France. He perfected his knowledge by working on established wineries in South Africa. The founders are supported by the next generation. Youngest daughter Jaqueline Aaldering and her husband Gert-Jan Posthuma take care of finances and sales. And, of course, the daily tastings! 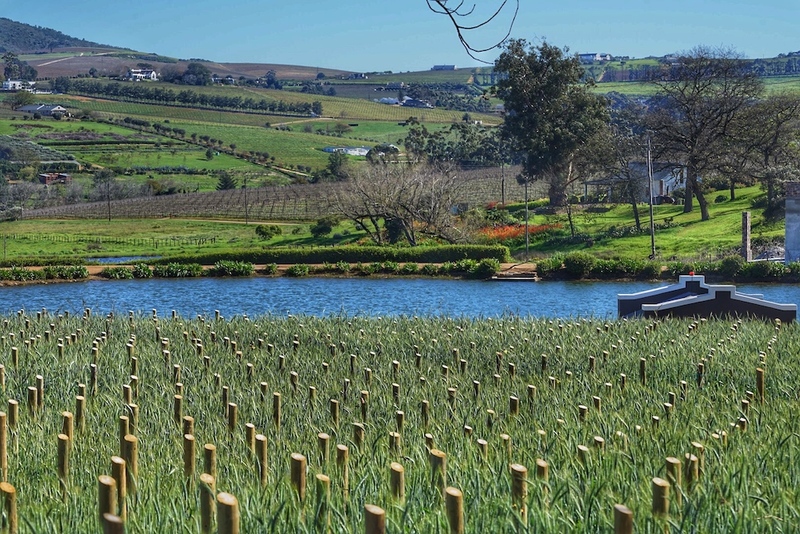 Only 50 kilometers from Cape Town, many wine connoisseurs are drawn to the Winelands. Once you leave the bustling city behind, you find yourself in a still life of rolling hills, magnificent mountain ranges and rows upon rows of vineyards. Traveling by car, the landscape reveals itself, and you realise what is good for the eye is good for the soul. 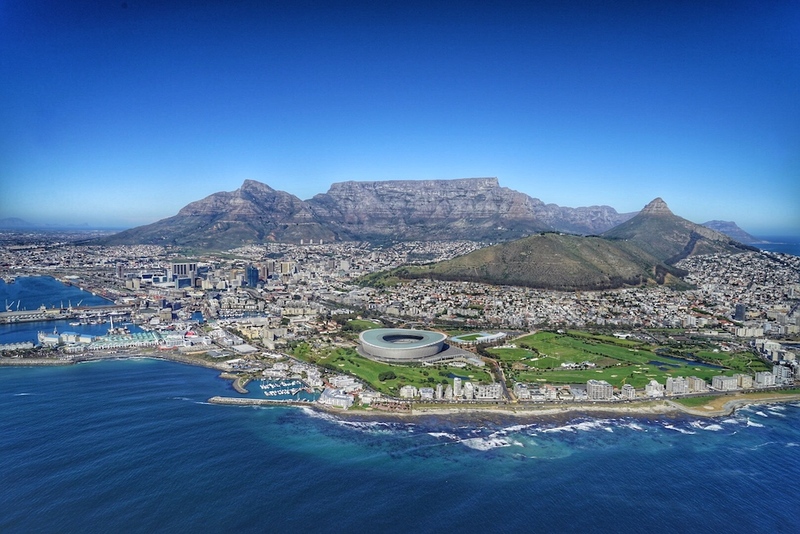 Somewhat more spectacular, and by no means commonplace, is a helicopter trip from Cape Town to the Winelands. 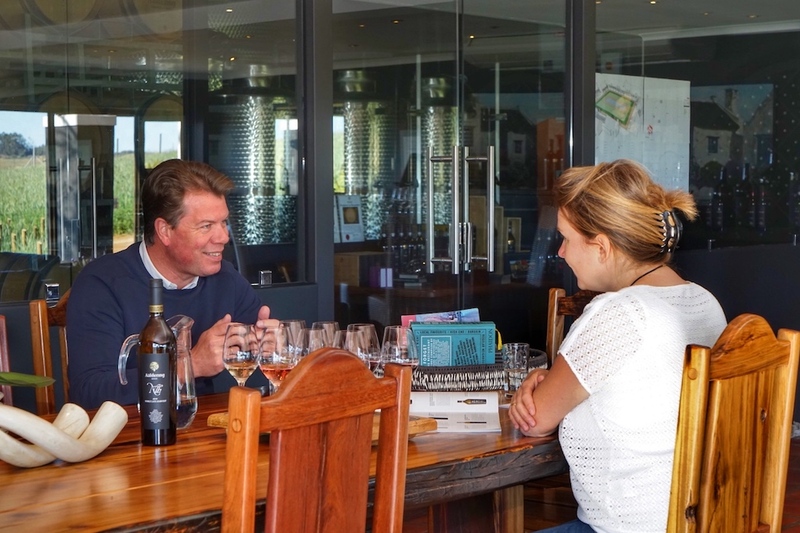 Cape Town Helicopters offers tours to many wineries in the Western Cape, so wine enthusiasts can enjoy a tasting and lunch. The Aalderings have made sure the winery is on par with the latest developments in the industry. Farming is sustainable and efficient. The moisture in the soil is analyzed via satellite images to ensure each plot is irrigated accordingly. Following the motto ‘as little as possible, as much as necessary’, chemical use is controlled. The family proudly bears the ENVIRO label. Various crops and herbs thrive between the vineyards. During winter, even cereal crops are utilised to improve the soil and microclimate. Grapes are kept small and concentrated. 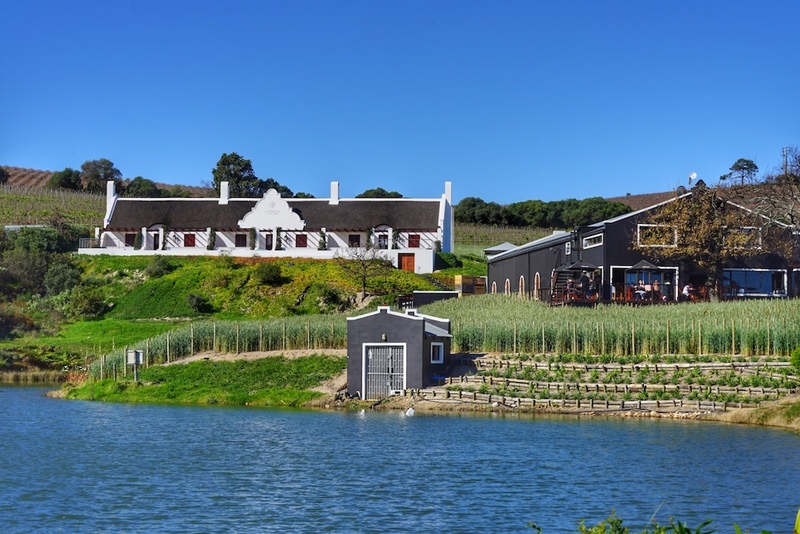 Their full flavours can be found in the 120 000 bottles of wine annually produced by Aaldering Vineyards & Wines. 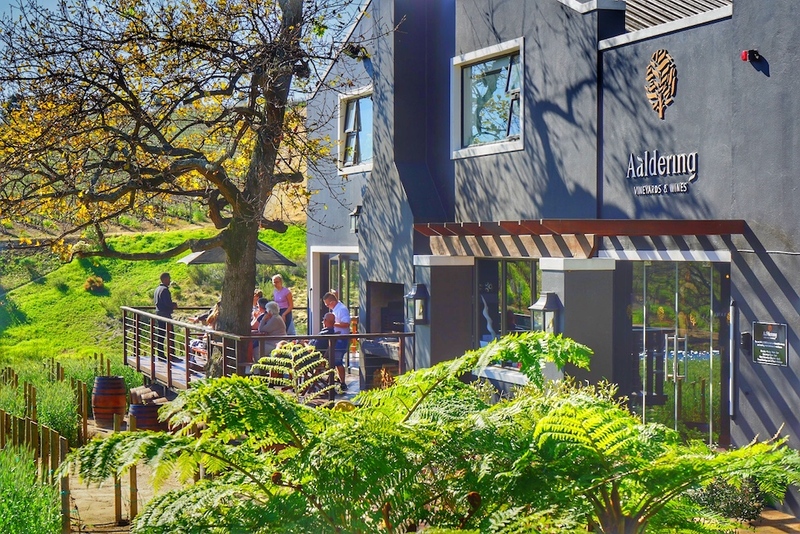 Aaldering wines are among the top 100 South African wines. 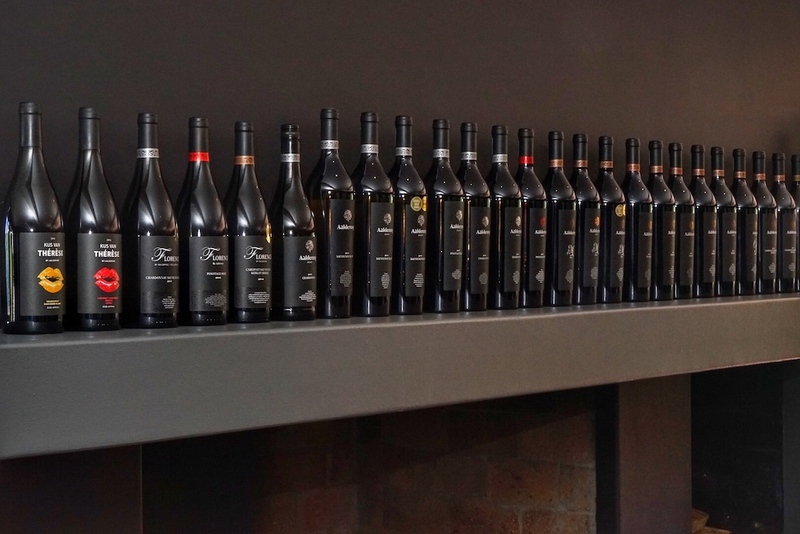 Most of the vintages have received Double Gold or Platinum awards. A cellar favourite is certainly the Pinotage. Gert-Jan believes their version of South Africa’s signature variety is one of the best in the country. The classic Aaldering Pinotage can be enjoyed by passengers in KLM’s Business Class. But there is no need to dismiss any of their other wines. 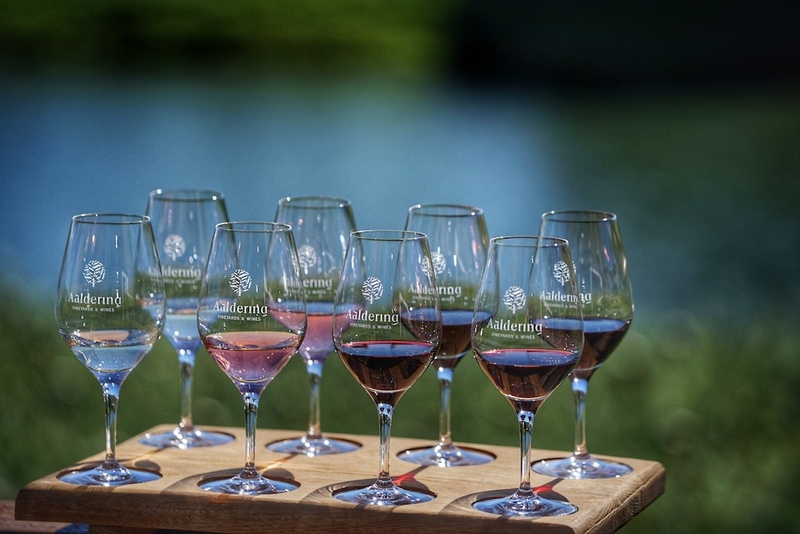 The Shiraz, Merlot, the Cuveé from Cabernet Sauvignon and Merlot, including the Chardonnay and Sauvignon Blanc have all earned a top position amongst local wines with loyal supporters around the world. 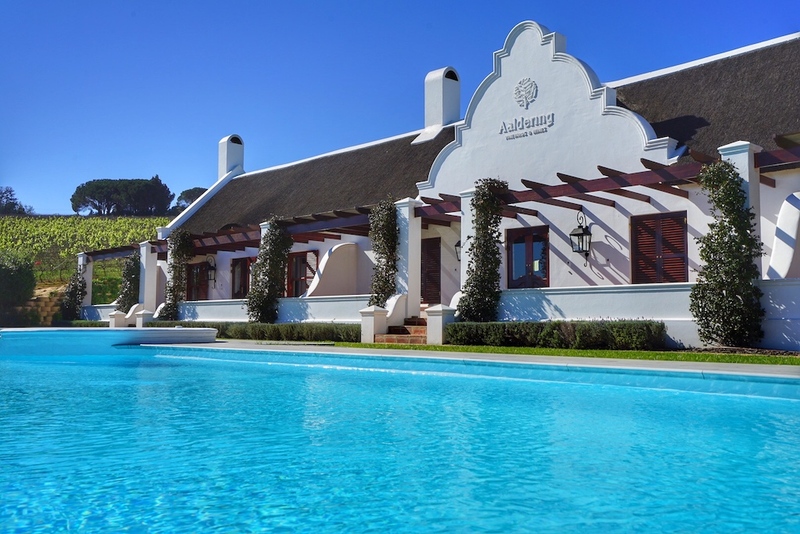 Since 2015, the guesthouse situated on Aaldering Vineyards & Wines provides luxurious accommodation in a beautiful setting. 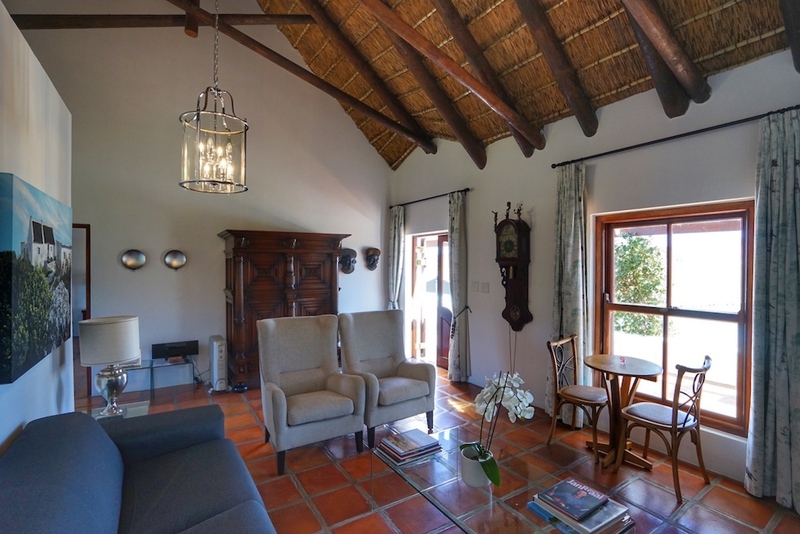 The 5-star lodge has been lovingly and elegantly decorated in the classic Cape Dutch style. 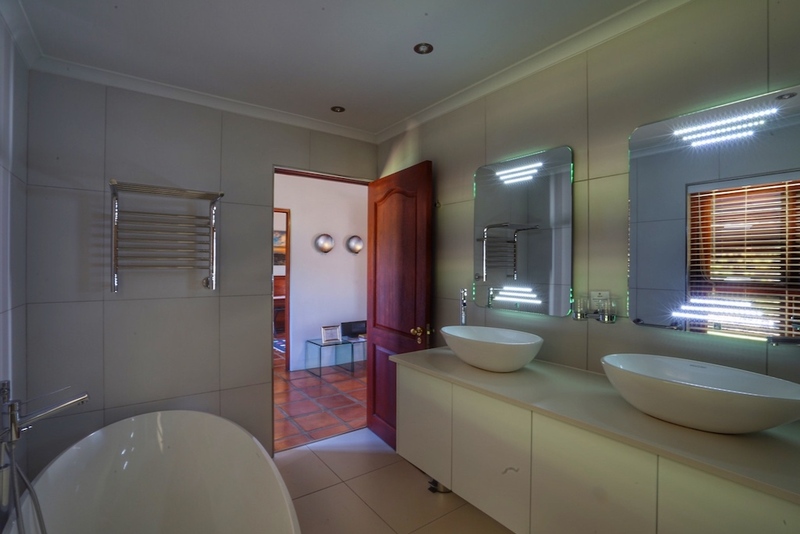 With a modern kitchen and elegant, white-washed bathrooms, the three-guest apartments provide a luxurious flair that continues in the living and sleeping areas. The view from the terrace over the extensive landscape is simply breathtaking. In summer, the sparkling pool provides the guests with a welcome refreshment after a busy day. When the sun starts to set, you will find them by the pool with a chilled glass of Aaldering in hand. 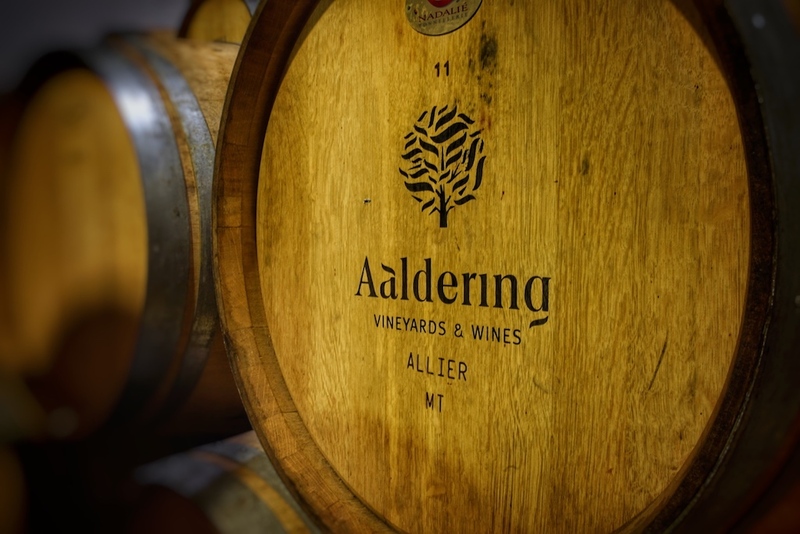 Aaldering Vineyards & Wines is a boutique winery that is not defined by the masses, but rather top quality products. The same approach applies to the luxurious lodge that offers quiet and comfortable living in a picturesque setting. This is an editorial article made possible by external support. The support has no influence on the content shown here. The editorial code applies.